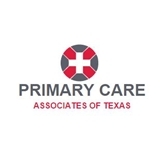 Primary Care Associates of Texas (Fort Worth) - Book Appointment Online! Dr Gray was very nice, thorough and prompt. I would gladly recommend her to anyone looking for a good PCP. This was one of the worst appointments I’ve had, and I will not be going back. The only good part about this visit was the nurse who came into the room first. She was a sweetheart. The doctor was not great. He told me he was going to fill a prescription for me (strep) and did not. I called the pharmacy twice, nothing. I also called the doctor’s office and the front desk told me he was gone for the day. It was 2:00. I found it interesting that a doctor wouldn’t fill his patients’ prescriptions before he left the office. Overall, very disappointed and not to mention STILL without meds. I was a new patient and Dr. Vattikuti was great. She listened and cared and helped me. She will be my primary doctor from now on. Dr. Moran is amazing! He listens to your concerns and works with you to achieve the best treatment. He is understanding and non-judgmental. I felt comfortable with him, and I felt like he actually cared about my well being. He is just awesome!! Everyone including Dr.Raghnath are wonderful! Friendly and very patient with the patients.